There are SO MANY things you can use to take off your makeup. SO MANY. But I have a few of my all time favorite tips and tools, and I am excited to share them with you! 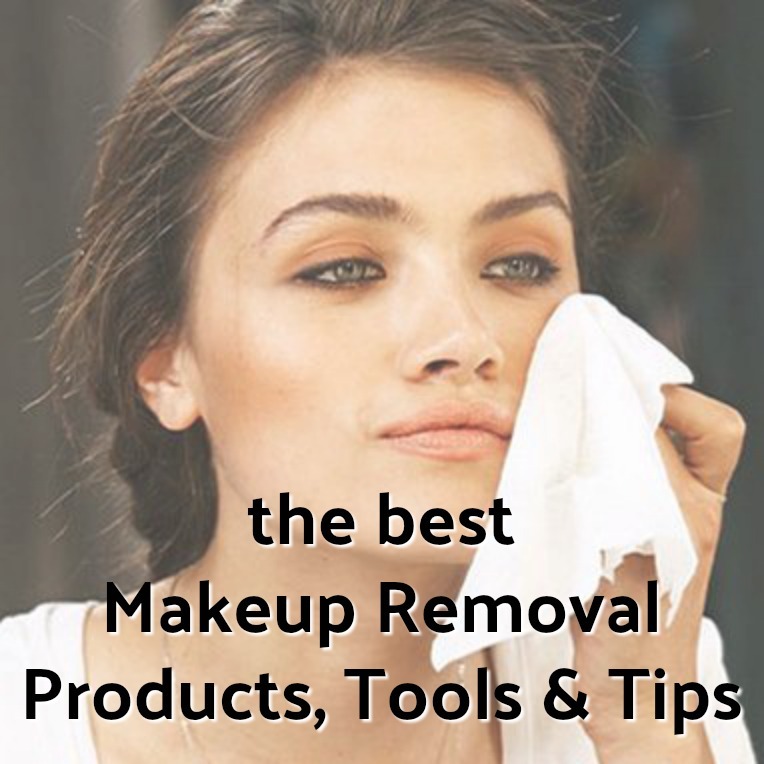 I am going to go over my favorite removal wipes, travel remover, classic makeup remover, removal cloths and disposable pads. 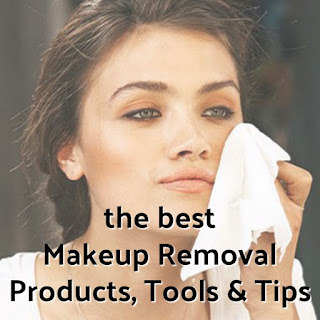 I am also going to talk about some of my favorite tip and trick for removing stubborn makeup. So let' get started. 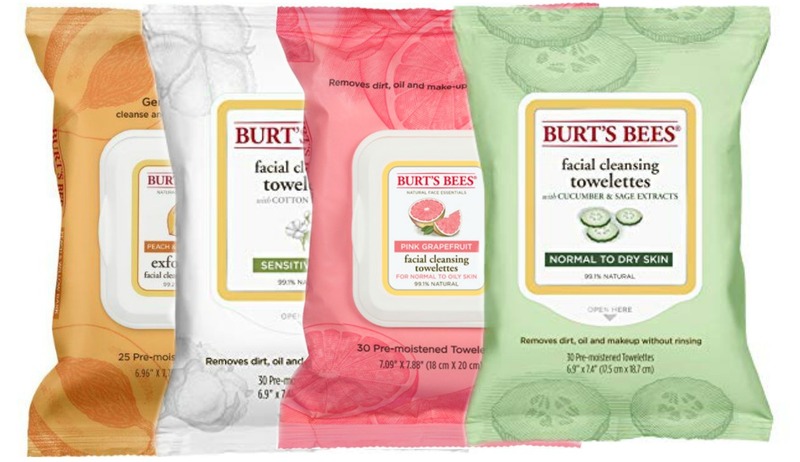 Burts Bee's Facial Cleansing Towelettes are the best! They are affordable, they smell good, they are sturdy and they are effective. They come in several different fragrances and are infused with skin care, so not only do they take off your makeup but they heal your skin too! There are options for sensitive skin, dry skin, normal skin, oily skin as well a options that exfoliate. Plus it's accessible. You can find it at Walmart, Ulta and more! Plus it goes on sale regularly. You can read my full review on them here or pick them up here. When you are going away for a night, or even a week, you want to take as few things as possible. 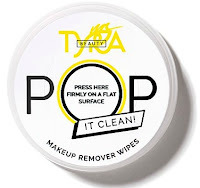 I love the Tyra Beauty Pop It Clean Makeup Removal Wipes for that reason! 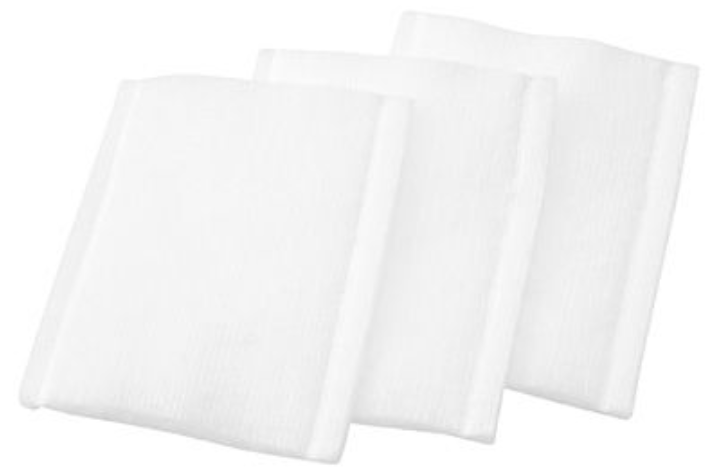 Each wipe is strong and sturdy and is made from a woven cloth. The cloth is compacted into a small cap sized plastic container (which is made from recycled material and is recyclable too) that houses the liquid remover a well. You press firmly on the top releasing the cloth and as it expands out of the cap it absorbs the makeup and is ready for use. 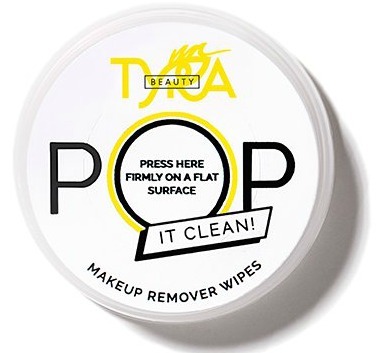 Not only are these fun, but the individual wipes will easily remove your full face of glam makeup. They are perfect to pop into your purse or overnight bag. But they are also perfect to stash in your car, wallet, desk and more. You can take 7 on a trip with you, or 2. Pick them up here. I used to sell Mary Kay once upon a time. And while I stopped a long time ago because I couldn't get behind many of their products, I am still hooked on this remover. It's affordable, potent, a little goes along way, and I do like supporting direct sale companies. Hop onto Facebook and see if any of your friends sell Mary Kay, I bet one of them does. And trust me, you'll be hooked too. Learn more here. Microfiber is great for removing makeup using nothing but water. I actually like makeup removal clothes and use them a lot while traveling, as well as while camping. 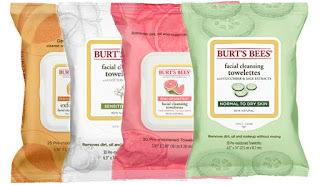 I don't wear makeup when I camp, but they are great for cleaning your face and maintaining your skin care. 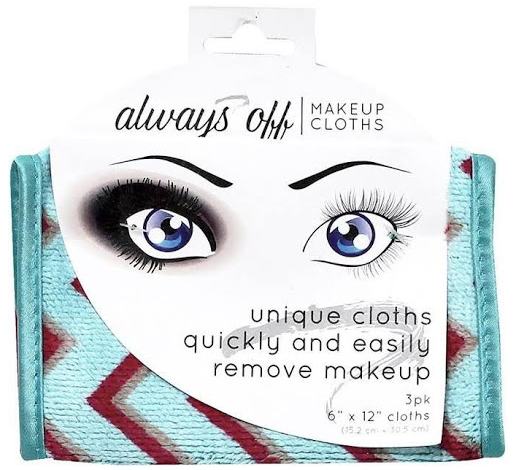 I don't feel like they do a good job of removing waterproof or stubborn eye makeup all the way, but they do great with everything else and with light eye makeup looks. My favorite clothes are these cheap ones I picked up at Walmart. They are from the brand Always Off, and they were $3 for a set of 3. Of course you can toss them in the wash and reuse them over and over again! You can buy them here. When you use a classic remover like the Mary Kay one I recommended above, you need a cotton pad or round to remove it with. My skin is fragile. So when I use the equate brand rounds from the drug store that you get for a dollar, my skin isn't happy with me. I often find that the pads irritate my skin and feel like I am cutting or scratching the area around my eyes. I am not sure what makes these Cotton Puffs better than the classic woven ones we all see in stores on the regular, but these ones from Muji are AMAZING. They are so soft, and they never irritate my eyes or skin at all. This is an over-seas company. So if you are in the USA like me shipping is a little pricey, but the cost of the actual pads are super affordable. So I buy literally 10 packages at a time, and I only buy them once every few years. You can pick them up here. 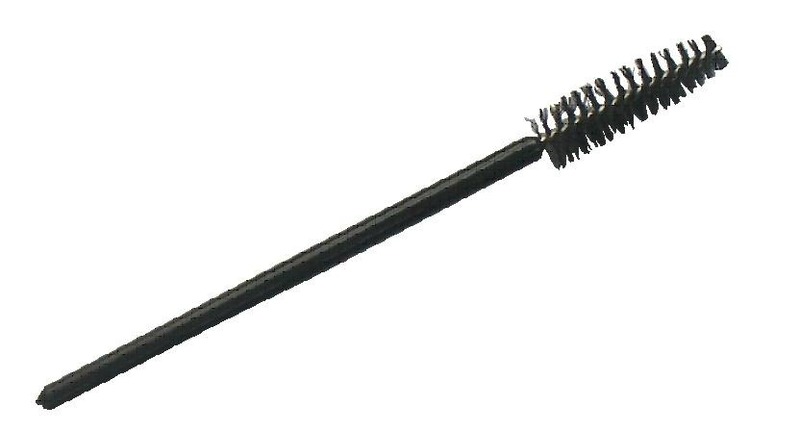 When removing Waterproof Mascara dip the head of a disposable mascara wand in the remover and then spin it on your lashes slowly. This will break up the clumps better and gently help to remove mascara. Also try saturating a cotton pad with makeup remover and then placing it over your closed eyelid. Let it sit there for 5 seconds, then gently rock it back and forth for 10 seconds and remove. This will remove the makeup faster and in a more gentle manner. You review is great! Thanks for sharing your professional opinion with us! Sometimes no matter how thoroughly I scrub and lather up, it seems like I just can't get all my makeup off. I hope those facial cleansing towelettes, about which you were talking about, will change this situation :) In my turn, I recommend you to read this article http://www.agsinger.com/how-to-increase-the-beauty-of-your-face-without-any-surgery/. I've found there lots of effective beauty tips.